FLEETWASH started its washing operation in 1973. 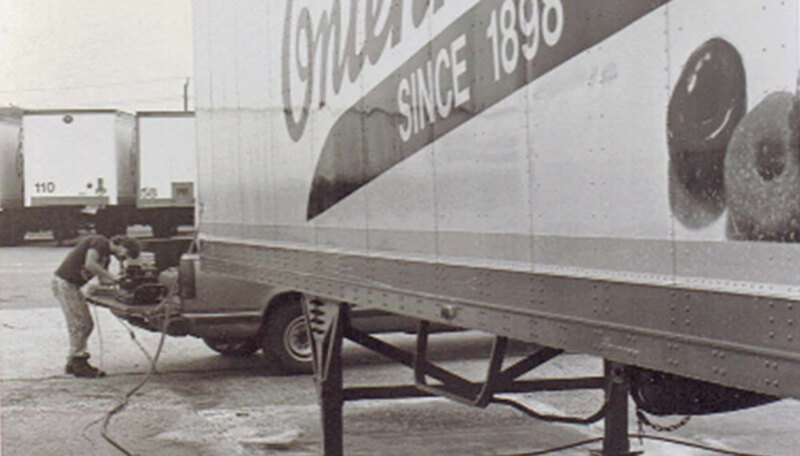 The need for a mobile service was evident in the quickly expanding transportation and distribution industry in the greater New York City area. 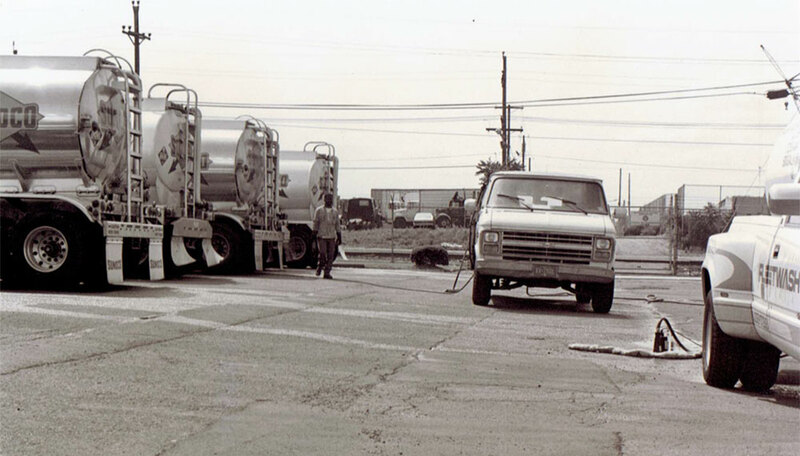 Many spawning companies had growing truck fleets that all needed cleaning, and the original mobile truck washing idea took off and grew rapidly through the 70's and continued to increase into the 80's. 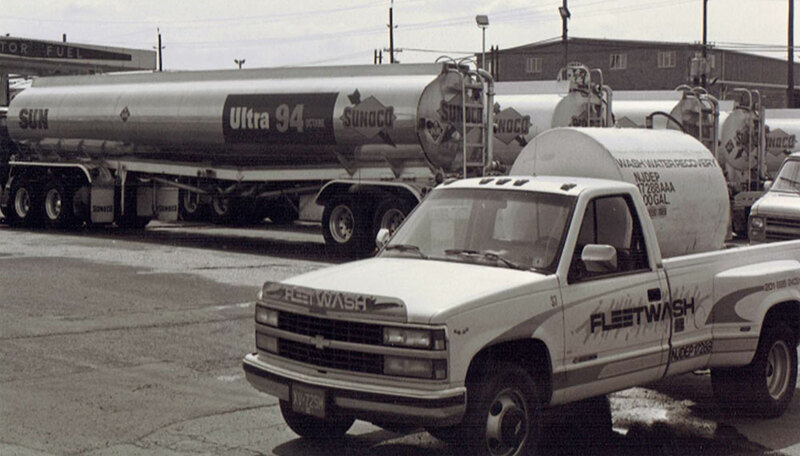 Back then, FLEETWASH was largely a family-run business, driven by innovation, hard work and long hours. 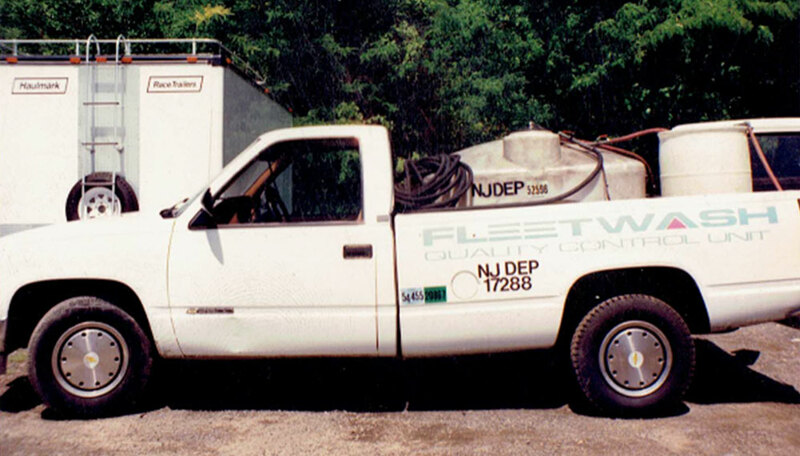 The very first mobile truck units and water recovery systems, like the ones shown here, were designed, engineered and retooled in the first FLEETWASH garage located in Northern New Jersey. In the late 80's and early 90's, a new awareness arose concerning the washing of vehicles. New government agencies were focusing on the environmental impact of industrial pollutants. Companies and government agencies alike were turning their focus on and driving consumer awareness of environmental issues. The Clean Water Act moved into the spotlight, and much attention focused on activities that released pollutants into the waterways of the States. 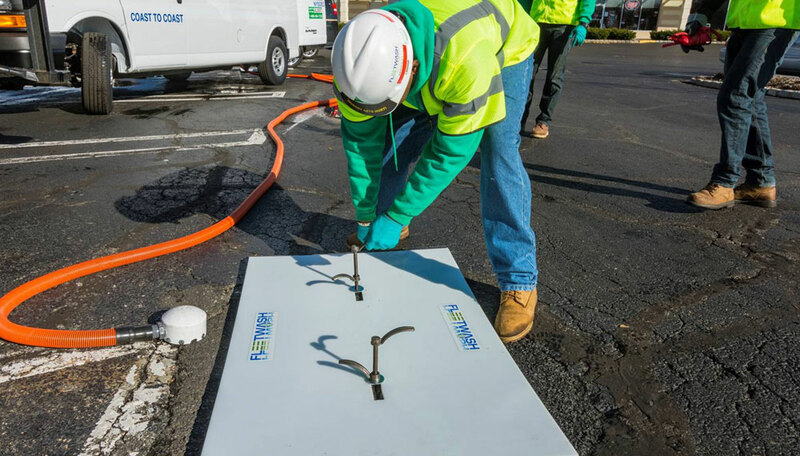 Long before any government enforcement officers ever visited our customers, FLEETWASH worked with our high-profile clients to address rising concerns over wastewater and its effects on ground and stormwater pollution. Together, FLEETWASH and our clientele realized that both the negative environmental impact and the bad publicity attached to polluters was something to be avoided. Thus FLEETWASH developed its first end-to-end water recovery system; from Isolation to Collection to Transportation and Elimination. All water is channeled and pooled using booms or dikes to isolate and pick up the wastewater properly. 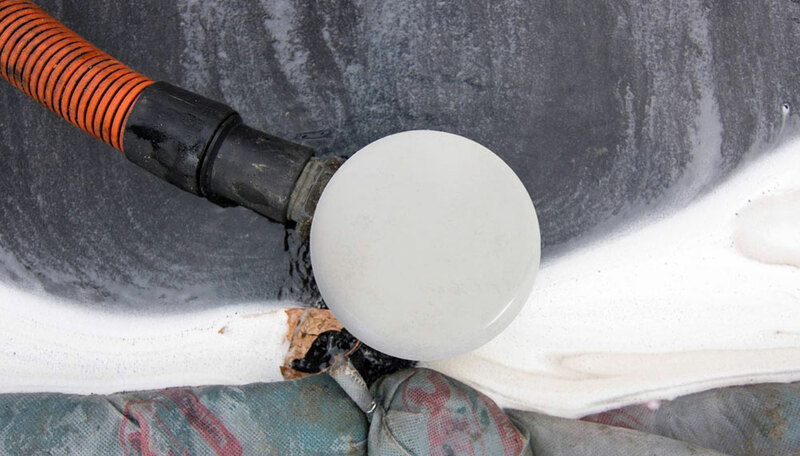 Drain seals are extremely critical to a successful recovery operation. In these early days, FLEETWASH used simple rubber mats to seal off storm drains, eliminating the possibility of contaminated water entering the sewers and waterways. Once contained, we physically remove the wastewater from the parking surface. In the early days of development, wastewater was picked up by electric sump pumps, but these required generators and lengths of cable that proved unsafe in the wet washing conditions. Research led us to technology we use today in our patent-protected water recovery system. All isolated and contained water is stored in our custom designed and built FLEETWASH water-containment vehicles. These vehicles are required to return to our facility at days end and then the waste water is dumped and treated for elimination. Just as our isolation, containment, and transportation process has evolved over the years to increase effectiveness and efficiency, so has our elimination process. FLEETWASH has experimented with several different approaches to the eradication process. After early attempts at evaporation-based and recycling water recovery systems, we have arrived at our current method using filters, settling tanks, and chemical treatment combined with a sanitary drain discharge. 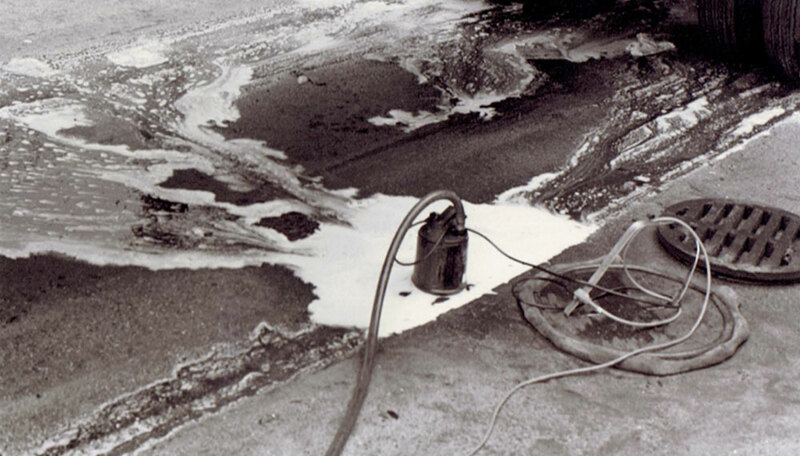 Unlike many other mobile power washing companies, FLEETWASH has been in business for over 44 years. During this time they have acquired numerous smaller shops and opened operations management facilities to effectively and efficiently service clients across the nation. Rest assured, a licensed, certified, FLEETWASH field agent will manage, maintain, and service each job of your account. 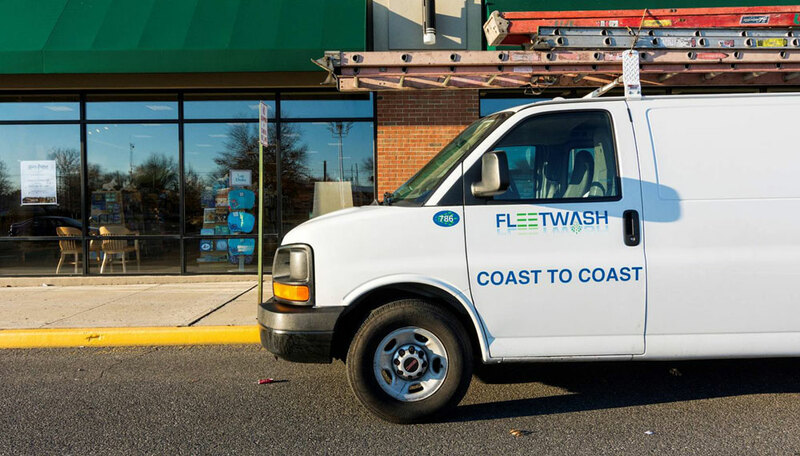 FLEETWASH clientele has grown from being singularly focused on the transportation industry in the 1970s to managing a multitude of industries through our expanded facility services. 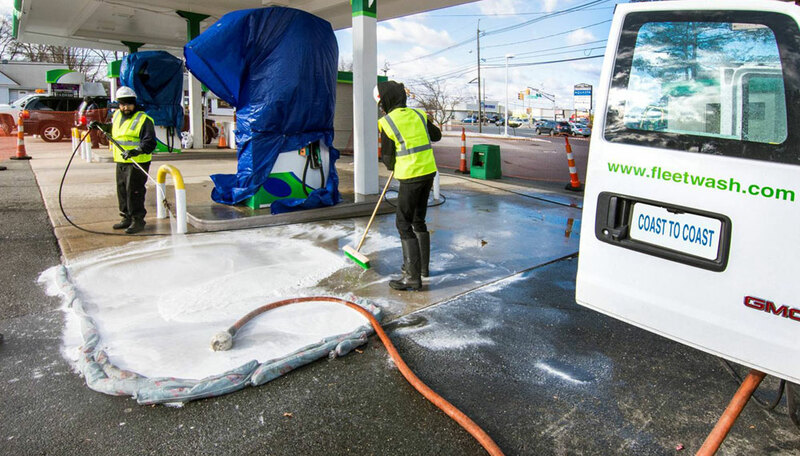 Most recently, FLEETWASH has expanded its expertise to the Petroleum Industry – cleaning and reimaging hundreds of Gas Stations across the country. Every FLEETWASH field agent has been API WorkSafe certified. As FLEETWASH quickly approaches a half-century of servicing, we are furthering our commitment to environmentally responsible maintenance. Our FLEETWASH staff continues to innovate and improve our water-recovery process from our bio-degradable washing agents through our water filtration and elimination process. We are proud members of the U.S. Green Chamber of Commerce and take the environmental impact of our business very seriously. How do I know FLEETWASH can service my area? 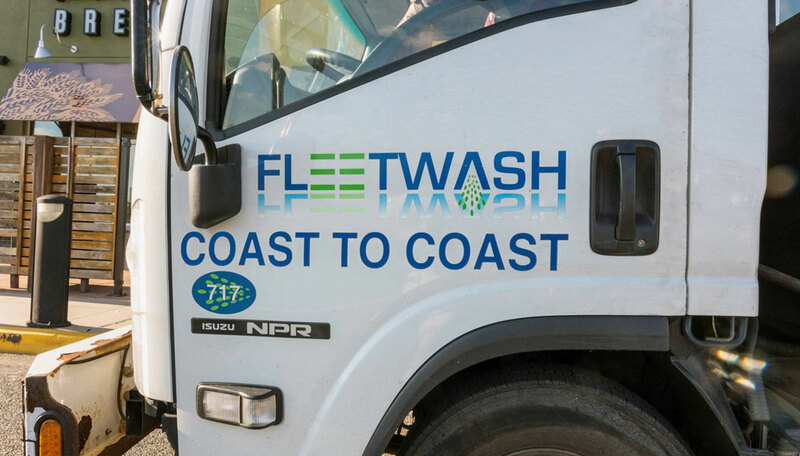 FLEETWASH has over 62 Facility Operation locations from coast to coast. This means FLEETWASH can service clients where ever they might be. Simply request a Quote and our FLEETWASH Sales team will reply within three business days. How does FLEETWASH determine the cost of service? Pricing is structured based on the service requested, the size of the job, distance travelled and frequency of service requested. 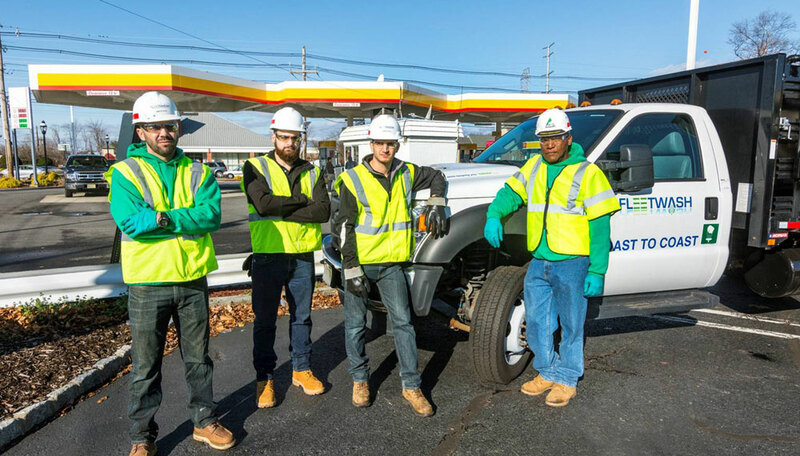 Simply request a Quote and our FLEETWASH Sales team will walk through the process and determine what works best for your organization. Is there a surcharge for fuel used? The weekly national average diesel fuel price set by the US Department of Energy effective each Monday shall be used to determine the fuel surcharge. All rates and charges for line haul transportation, and other services which consume fuel, in tariffs or contracts making reference to this tariff, will be increased by the percentage shown below to reflect changing fuel costs. Click here to view current fuel surcharges. Does FLEETWASH provide one-time cleaning or do you need to enter into a service contract? While FLEETWASH recommends clients adhere to a cleaning schedule, we do respond to requests for single services. Simply request a Quote and our sales representatives will respond with service agreement options and prices based on your needs. Does FLEETWASH primarily wash trucks? Yes. 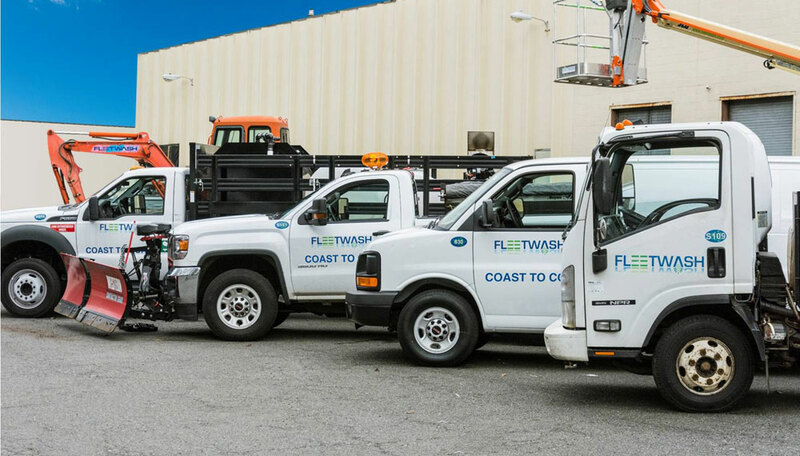 While FLEETWASH began as a mobile-truck-washing company primarily servicing the transportation industry, our clientele and services have grown exponentially over the years. Visit the Services section of our site to learn more. When will FLEETWASH arrive to service my facility? 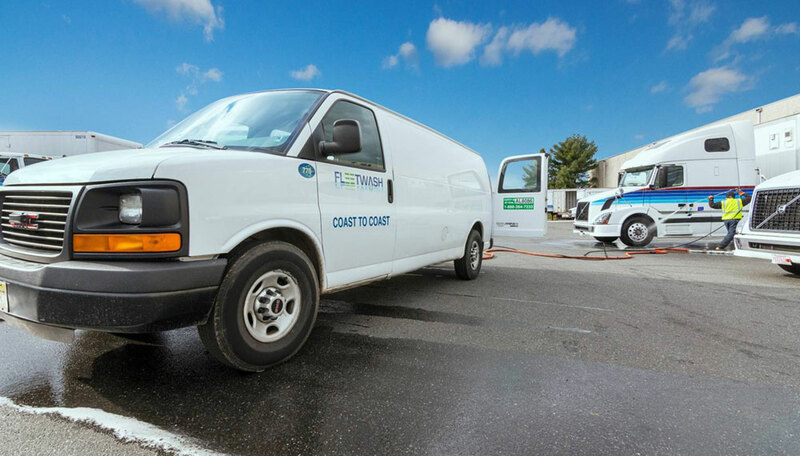 FLEETWASH works with you to determine the most convenient day and time to conduct your facility cleaning or vehicle washing services. FLEETWASH works weekends, evenings and early mornings so our work doesn’t interfere with your business. 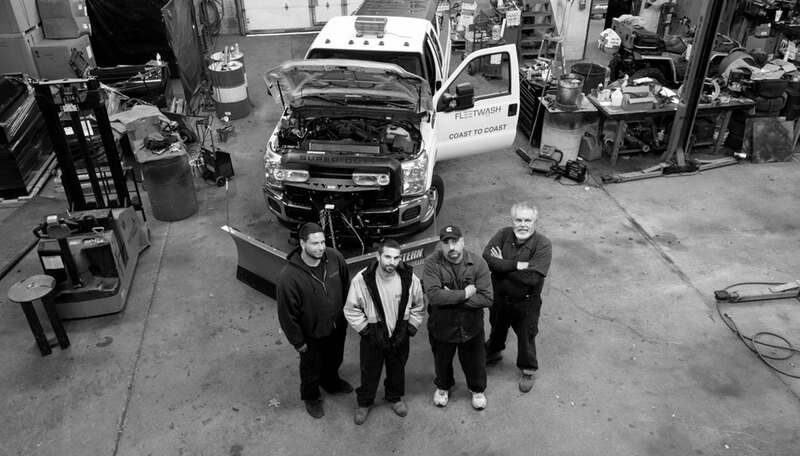 Request a Quote and our Sales Representatives will discuss options with you.